It was the early 1990s. I was prime minister of Sweden and near Christmas I was visiting our soldiers serving with the United Nations peacekeeping operation in Croatia. War was raging in Bosnia, and so I ventured down to the bridge on the border between the two countries. Bus after bus with desperate refugees was crossing over. The ethnic cleansing of western Bosnia was in its final stages. At home we struggled with both an economic crisis and a more massive influx of refugees than we had ever had. One year brought in about 100,000 women, children and men fleeing the carnage of the Balkans. Most of them were from Bosnia, and most of them were Muslims. The combination of that inflow and increasing unemployment made for a toxic debate. Some rallied with whatever argument possible against the refugees. And, sorry to say, some even resorted to violence. A couple of years later at a public gathering in the northernmost part of Sweden, I was approached by a young woman named Anna Ibrisagic. She was from Bosnia, and she knew that I had been there and that I had wanted to help. Her family had been forced to flee, and they went over the bridge at Bosanska Gradiska exactly when I was visiting. Not knowing what to do, they saw the Swedish flags on my vehicles and, in the absence of any other alternative, asked to go there. That young woman’s road from Sanski Most to Luleå turned out to be only the beginning. Ibrisagic entered business and politics, was elected to Parliament and then to the European Parliament, becoming the first from Bosnia there. She served for a decade, elected from and by Sweden. Of course, we had difficulties with the massive influx of refugees from the Balkan wars. Years later we faced organized crime gangs originating in the tight Balkan smuggling networks that grew up during the wars. There were some brutal shootouts between them in Stockholm. Yet today, some decades later, the story is one of success. Numerous studies have shown that the Bosnian refugees have integrated well in Swedish society. On average they do as well, or even marginally better, than those born in the country. And they are everywhere: in sports, culture, business and politics. They have given an added flavor to our country — but it’s still very much Sweden. They wave the flag and sing the songs. I believe they have made Sweden a better country. They are, of course, not the only group that has come to Sweden. No less than 17 percent of our population is from Finland. And I believe we have even more people from Persia than from Bosnia. They are as successful in Sweden as they are in California. Now, many from Syria have also come, although we have had Syrian communities for years. Some groups have sometimes taken longer time to integrate. And the strict structures of our welfare society are more geared to protecting insiders than opening up to outsiders. We need to do better. Sometimes we see the conflicts from far away reflected also in our society, although far less so than what you might encounter in Manhattan. I regret that President Trump is slandering our country in his attempts to find reasons for what he wants to do in closing off the United States. I suspect that his actual knowledge of the issue is extremely limited. If it were not for the massive turmoil that could ensue, I would urge him to skip one of his golfing weekends and come to us and see for himself. He wouldn’t find paradise. Every country has its share of challenges. And, in much the same way as when we received the refugees from Bosnia, there are certainly those today with different views of how Sweden is managing the latest influx from the Middle East. But Trump would certainly find one of the more vibrant and innovative small countries of our times. He might have heard of Spotify and Minecraft. There is a lot of creativity around. And I’m personally very proud of what my country did during some difficult years to offer a new future to some of those fleeing the horrors of the Balkan wars. 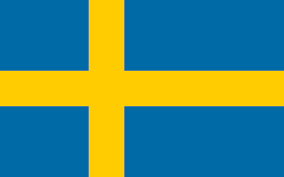 That it turned out to benefit our society is, of course, also part of the good story of Sweden.